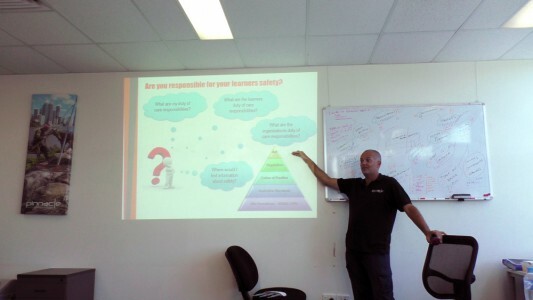 A two day face-to-face block, where eligible students enrolled in the Cert IV TAE (TAE40116) complete their final presentations and assessments. check dates and call us to book! 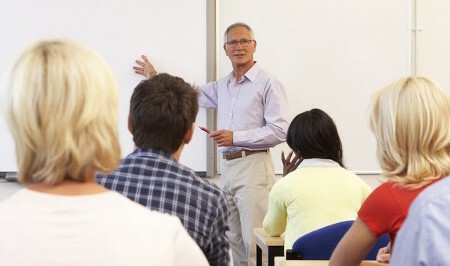 Presentation days are held over a two day block, with each student delivering 2 x 40 minute presentations. In addition, students must also conduct assessments throughout the presentation day blocks. The presentation day block is included in the course fee for Certificate IV in Training and Assessment (TAE40116). Students who are deemed not competent may incur additional charges. This is the final assessment piece for your Certificate IV in Training and Assessment (TAE40116). Only participants who have been marked as competent in their major portfolio are eligible to book in for their final presentation days. The presentation days must have a minimum of 7 participants confirmed in attendance. Where the minimum has not been met, our Sales and Service Specialist will contact you to discuss alternative options. I completed a Cert 4 TAE40116 with Pinnacle. The trainer Mary-Ann and training material were excellent. It was a really intensive course and even though we were all mentally exhausted at the end of the 10 days I can genuinely say that I came away with a high degree of knowledge and confidence in moving forward and applying all I learned in this course. Once again two thumbs up to Mary-Ann!